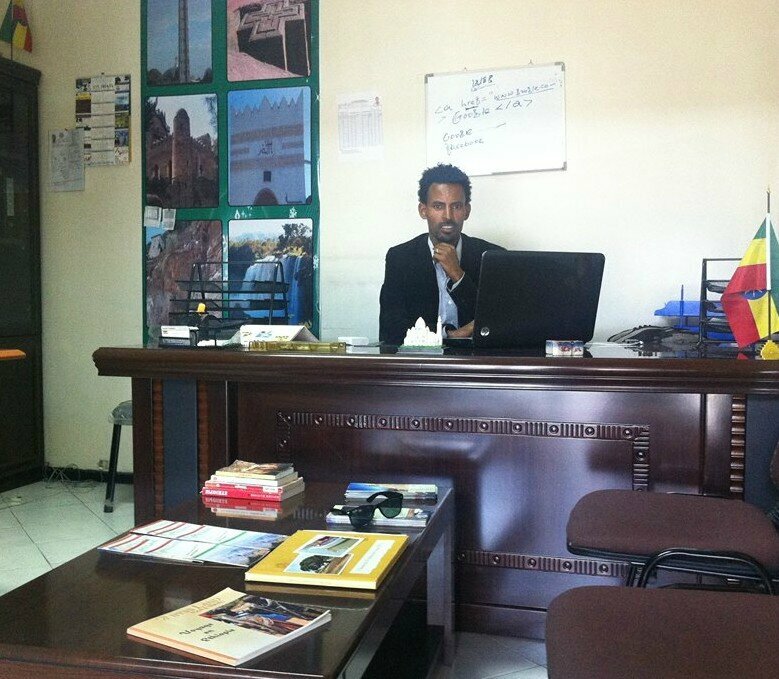 Themes : to discover the civilization and attraction of Abyssinia world heritage sites. We can have a visit to Ethiopia all the year but the best time to book this program will be to the best time October up to end of February. Morning, visit the capital : begin by the St Trinity cathedral church, then national museum home of our ancestor LUCY. Afternoon, drive to the mountain Entoto, to see the view of the city final visit the biggest market Markato . Morning, fly to Bahar Dar, then visit the 14th century monastery of lake Tana. Afternoon, visit the blue Nile falls, the longest river in this world . Morning, drive to Gondar. On the way, to visit the village of AWRA AMBA. In the afternoon, visit the medieval city of Gondar with its complex castle date back to 17th century classified as a UNESCO World Heritage Site in 1979. Morning, drive to Simien national park. Excursion in Simien mountain national park home to an impressive number of plants and animal species with its exceptional spectacular view of the park. This natural attraction is classified as a UNESCO World Heritage Site in 1978. Morning, drive to Axum via the spectaculars panorama view of Limalimo and the fascination over view of the unique land scape escarpments of simian mountains. 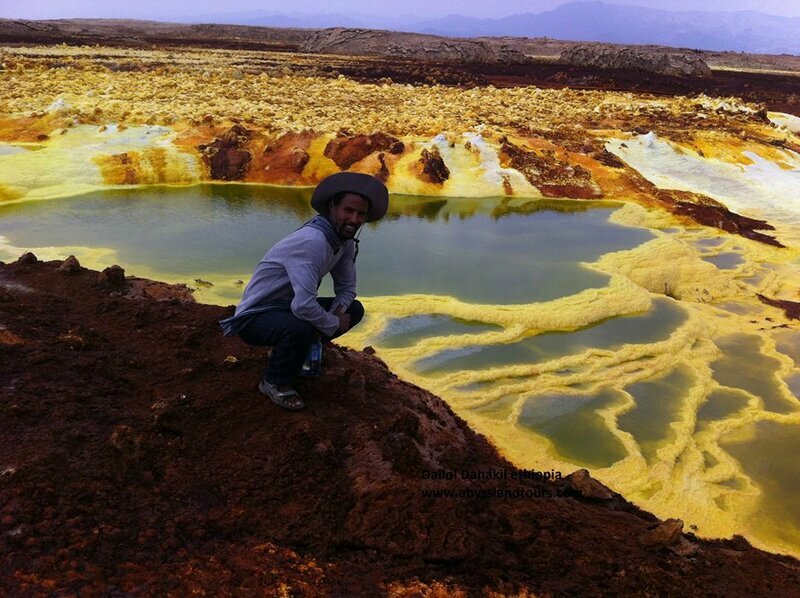 Altitude range this day we will drive from 2800 m – then crossing the river TEKEZE at 1000 m.
Full day, in this mystery city of Axum, discover the ancient civilization of Axum, the largest single stone obelisk height 24 m up 33 m, weight up to 520 Tones, the kings tombs, St Tsion church and the oldest inscription of King EZANA in three language, geuz, greek and sabien. They have been classified in the UNESCO as a World Heritage Site in 1980. Morning, drive to Gerealta. On the way, to visit the oldest temple in Africa ,YEHA. Afternoon, visit the oldest monastery of Debredamo, date back to 5th century A.D . Morning, drive to Mekele, the capital city of Tigray region. On the way, to visit the fascinating rock hewn church of Mariyam Korkor and Abraha Atsbaha, dated back to 4th century A.D . Morning, drive to Lalibela via the Abyssinian high land An ancient landscape framed by what is likely one of the oldest mountain range on earth, the mountain cliffs and those of the different river canyon plunge dawn, laden with waterfalls, indigenous forest make the region one of Africa’s signature trekking destination. Apart from breathtaking natural attraction this is also a place of historical and cultural significance. 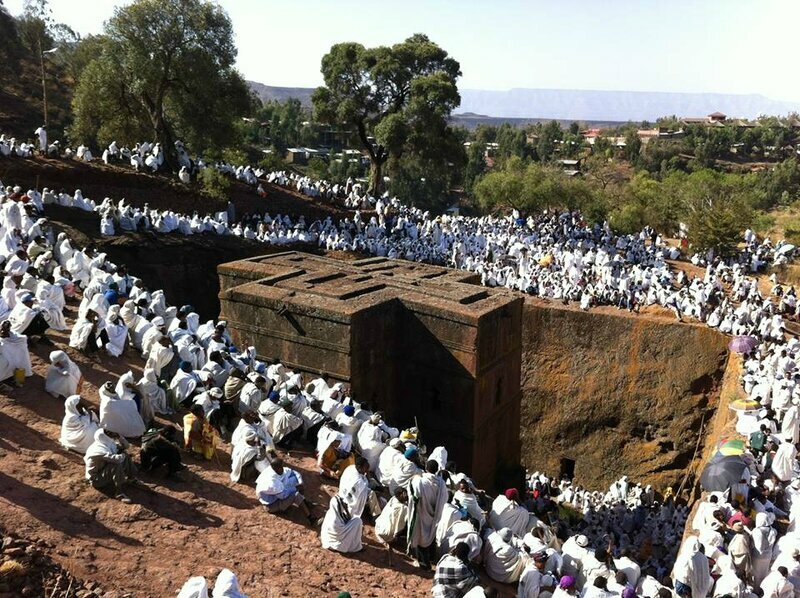 Visit one of the eighth wonders of this world, Lalibela , the home of fascinating rock hew churches dated back to 12th century A.D, they have been classified as a UNESCO World Heritage Site in 1978. Morning, fly back to Addis Abeba. Then, we will get to enjoy a final farewell meal together in a traditional restaurant with different tribes dance.